← Don’t Forget About Dad! For many people, it’s tough to pull off peach clothing as it tends to give that “naked” effect. 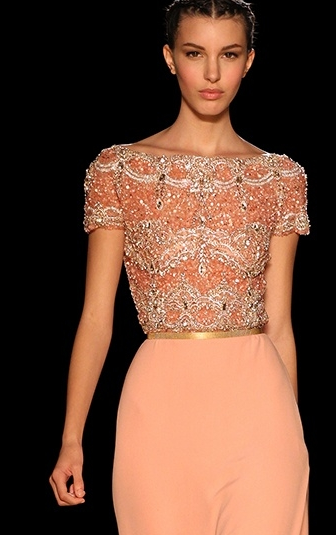 However, this gorgeous Elie Saab dress pairs peach with gold accents and a beautifully detailed top and eliminates the skin color problem. Can’t you just picture yourself bathing here with a good book? 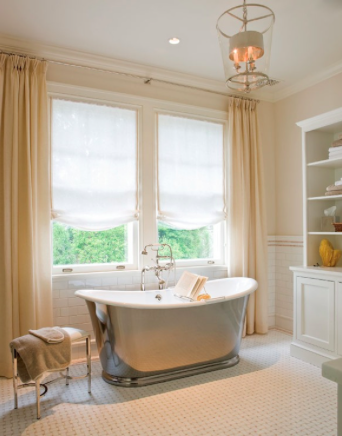 Wonderful use of a very subtle peach color with subway tile. 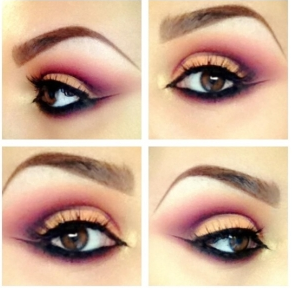 Peach and plum, a beautiful combination. I suppose if the names of the colors are also fruits that taste delicious, the colors together are also yummy! The wall covering in this room is a muted peach grasscloth. 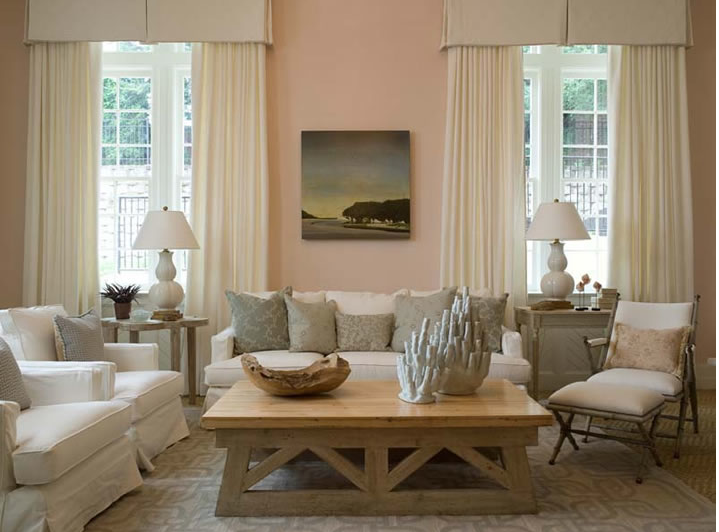 Detailed with peach fabric window treatments and nature inspired pillows, all can I say is WOW! 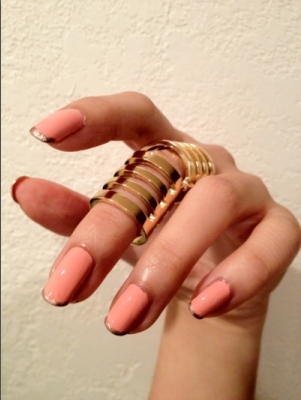 Peach and gold together is such an elegant combination. Using peach the right way can create a very natural and welcoming environment. Such a stunning nursery! I love the use of peach instead of a hard pink for a baby girl’s room. Very elegant and calming. So, what would you say if you saw these uses of peach? Love it, or it has to go? I completely agree. There are always cases where it has to go. Haha. But when used correctly it can be cheerful and warmer than say white. Love your photo choices. I would be happy in any of those peach spaces. Exactly! It’s unfortunate that, more often than not, you walk into a peach room and feel that good ol’ fashioned designer’s displeasure. Haha 🙂 Thanks for reading and I’m glad you enjoyed the post! Thanks so much! I think it is a very soothing color. I appreciate you reading! I LOVE this post! I’ve never used peach or even done a post on it, but this is GORGEOUS. I love how you included makeup, clothes, and rooms! Thanks Stacy! I’m so happy you enjoyed the read 🙂 Definitely let me know if you use it in a design, I would love to see some more great uses of the color! Thanks Stacy! I love your taste too! I think we have a similar design loves. Thanks for reading!